This list will be constantly updated with new rules and guidlines so check it frequently. - ICA is specialized in pet birds. It aims to educate the breeders in everything concerning birds and to advise them and help them to solve all the problems and to present them with the fresh news of aviculture in general. - ICA is a friendly area in which members can share their experiences and creations with the community relating to the pet birds. Breeders, beginners, amateurs or experts should share their experiences and provide useful information. - You must adhere to the nature of the ICA and not depart from this nature. - ICA is not the right place to declare your general thoughts, your political viewpoints or your principles. ICA is only about birds and bird keepers. There are other websites where you can register with and present your own thoughts and ideas regarding everything else. - It is strictly prohibited to use this community as a mean to disseminate any religion. - Any member who does not adhere to these rules will be warned, and if he continues will be banned. - It is strictly prohibited to register in an religiously or morally inappropriate username or any other username causing embarrassment to other members. - The username must be clear. - The member should put a valid e-mail upon registration so as to be able to activate his membership. - The registration is free and you can feel free to access all our services. - Do not attempt to log on as another member or create a double account. - Do not use vulgar or sexual language or upload any content of a pornographic, pedophiliac or excessively violent nature. - NO rude comments to others. - Do not blackmail staff or other members about account closure, posts or editing. - Do not harass people with posts and messages. - Write appropriate title to your topic that reflects the content of your post. - Please write topics without spelling errors, and preview before submitting. 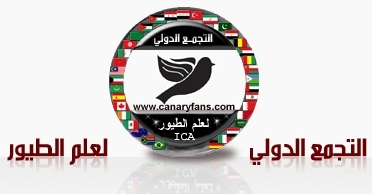 - You should adhere to the specifications of each forum, questioning about canary birds should be put to their specific forum not in other birds forums. - Do not attempt to steal other people’s work, topics and put into consideration the copyrights of everyone. - The intellectual properties and copyrights are reserved, so you should respect this and demand the permission of the original writers and put references if you publish anything inside ICA. - The previous rule also applies to our members and you must take their permission to publish them outside ICA. - It is strictly prohibited to engage in debates outside the nature of the community. Everyone must converse only in bird related topics..
- Do not post anything about the pay sites or link any member via signature etc. to a anti-pay or anti-pirate site. This site will remain neutral on this topic to prevent arguments. - It is strictly prohibited to use any harmful or abusive or immoral pictures or flashes. - It is strictly prohibited to use a large picture, or a flash of large scale. - NO Cultural bashing, racism or discrimination against any nationality, religion, ethnicity,gender or age. - You are protected and respected here, so you must respect all the members as they must respect you. - Any member who puts a valuable topic or post must be thanked and appreciated for the effort. - You should be patient in waiting for replies. Possible that one does not exist or someone is looking for the answer to your question. - Remember always that the moderators serve you and always take care of all the participants and will respond to your question as soon as possible. - Dear esteemed member it is strictly prohibited to abuse or defame any of the moderators or members and respect is demanded.